To see molasses in a dream denotes that you will be confused, run into a contradiction, and hesitate over something. It also refers to money and commodity. Alternatively, this dream is telling you that you are torn between two people. If the molasses is dark, you will make choice as soon as possible. If it is liquid in your dream, you will be undecided for a while. 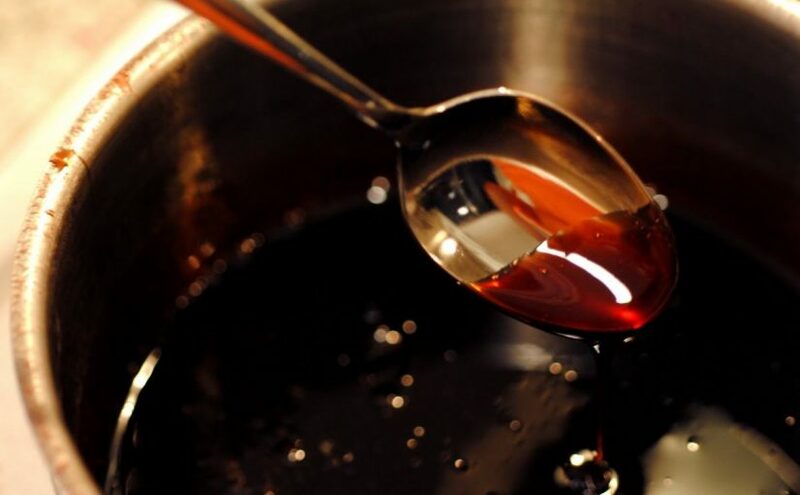 To see of eating molasses in your dream may represent that if it saturates you and leaves a good taste in your mouth, it refers to abundant gain. If the taste of molasses is bitter or sour, you will get money with great efforts. If the taste is sweet, it denotes money which you will get without effort. To see that you are making molasses in your dream signifies that you will establish superiority over your rivals by making their minds confused. If another person makes molasses in your dream, it tells that you will face with people who try to spoil your peace. To see a molasses boiler in your dream may indicate that you will have information about an issue which you hesitate and get rid of your doubts. To see molasses with sesame oil or another foods in your dream suggests that you will be unrivaled in your jobs. You will rise without applying cheat and leaving any doubts in people minds. To see that molasses is bought and sold in your dream means that you will confront new questions about an issue which preoccupies your mind and you want help from your friend. To dream that molasses pours refers to chance. The amount of pouring molasses reflects money and goods. If molasses pours on your dresses and things, you will meet with an opportunity shyly. However, you should evaluate this opportunity without hesitation.